Egyptians were voting on Tuesday in the final round of a landmark post-revolution election that has propelled Islamist movements into the centre stage of politics. 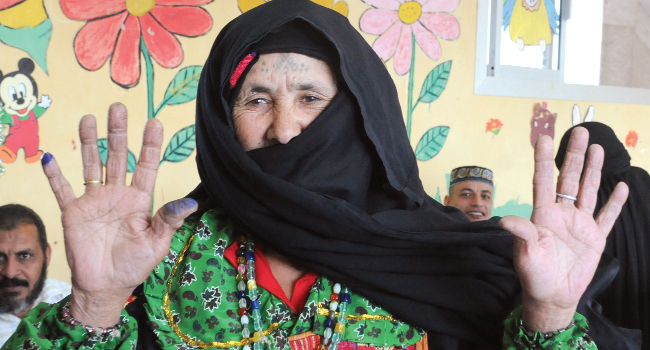 Around 15 million eligible voters have the chance to cast their ballots for the first parliament since an uprising overthrew veteran president Hosni Mubarak in February last year. The third round of voting which takes place over two days in nine of the country’s 27 provinces is unlikely to change the outcome of the election, which has so far seen Egypt’s main Islamist parties claim a crushing victory. Small queues began to form outside polling stations when they opened at 8:00 am (0600 GMT) in the Nile Delta, the south and the tourist resorts of South Sinai. Voters had to pass through metal detectors before entering polling stations in the Red Sea resort of Sharm el-Sheikh, tourist mecca and site of Mubarak’s second residence. In the Nile Delta province of Qaliubiya, the turnout appeared low compared with the first rounds with only dozens standing outside a school waiting to vote, an AFP correspondent said. “I’m incredibly happy today, I feel like my country is seeing a huge change,” said Amira, 25. In the southern city of Minya, with a large Coptic population, voters trickled into polling stations in a relaxed atmosphere, an AFP reporter said. The first two rounds of voting saw Islamist parties emerge as winners, mirroring a pattern in the region since the Arab Spring uprisings overthrew authoritarian secular regimes. The powerful Muslim Brotherhood, the country’s best organised political movement which was widely expected to triumph in the polls, has claimed the lead through its political arm, the Freedom and Justice Party (FJP). But the surge of Al-Nur, which represents the ultra-conservative Salafi brand of Islam, has raised fears among increasingly marginalised liberals about civil liberties and religious freedom. The Islamists’ victory has also raised concerns about the future of the country’s lucrative tourism industry. “God willing, the FJP will win. They are good people. Tourism is their priority, they will never shut it down,” said one of the voters, Umm Mohammed, a government employee whose husband works in tourism in Sharm el-Sheikh. Her friend, Umm Esraa, said “most FJP people here work in tourism so they would be the first to be scared for its future.” The Islamists’ liberal rivals — including the country’s oldest party Al-Wafd and liberal coalition the Egyptian Bloc — have fared badly in the first two rounds of voting. The Supreme Council of the Armed Forces (SCAF), which took power when Mubarak was ousted, has repeatedly pointed to the elections as proof of its intention to hand the reins to a civilian government. But the vote has exposed a deepening rift among Egyptians. Some see them as the first step to democratic rule, while others say the new parliament — whose function remains unclear — leaves control in the hands of the military.